Mason Securities provides customers with comprehensive and reliable Hong Kong and global securities trading services. Hong Kong stock market opens from 9:30 am to 12:00 noon and from 1:00 pm to 4:10 pm. Via Mason Securities' trading platforms, customers can enjoy fast and convenient trading experience at anytime! Customers can trade eligible Shanghai A Shares with corresponding H Shares listed on SEHK, constituent stocks of SSE180 Index & SSE380 Index through Mason Securities. As of 1 April 2015, a total of 571 stocks are eligible for trading. Mason Securities provides margin financing services with high margin ratio and low margin interest rates. Customers can benefit from low investment costs, making use of their funds in more flexible manner and optimize investment returns. Mason Securities provides comprehensive warrants and CBBCs trading services. Through our user-friendly online trading platforms, customers can place orders quickly. Customers can trade different global securities through Mason Securities, including USA, Japan, Australia, China, Malaysia, Singapore and Thailand markets. A structured product is an investment instrument embedded with derivatives under which it's return is determined by reference to changes in the price value and / or level of one or more reference underlying (e.g. securities, commodity, index, interest rate, currency exchange rate); and / or the occurrence or non-occurrence of an event. Mason Securities provides individual investors with IPO applications through internet. Customers having made their application channel through our eIPO service can check their subscription status and make changes at any time before the closure of online application. They would need to ensure sufficient funds are in their securities accounts one business day before the closure of the application. Customers can also check their allotment result after application result announcement. To cater different customers' trading preferences, Mason Securities offers different trading platforms, including Mason Securities PRO and Mason Securities Mobile. Each of these platform interfaces is easy to use and provides customers with fast, convenient and improved user experiences! Our real-time streaming quotes enable customers to have unlimited access to latest financial information, data, research materials, etc. Well-developed and reliable Hong Kong & global futures and options trading services are provided together with comprehensive research analysis and instant information at competitive rate by Mason Futures which will help clients to reduce transaction costs. Mason Futures provides customers with comprehensive and reliable Hong Kong futures and options trading services. With comprehensive analysis and real-time information, customers can trade Hong Kong futures and options at any time. Mason Futures helps customers participate in global futures markets, so as to realize customers' pre-set trading strategies. Mason Futures provides a variety of global futures products for trading, including index, currency, interest rate, metal, agriculture and energy. To cater different customers' trading preferences, Mason Futures offers different online platforms, including Mason Futures PRO and Mason Futures Mobile. Each of these platform interfaces is easy to use and provides customers with fast, convenient and improved user experiences! Mason Securities' research team keeps track of and analytic stock market and individual stock on a daily basis. The team also provides market trend reviews and stocks recommendations to customers. Comprehensive research reports can help customers formulate the best investment portfolios. Mason Securities research team provides detailed analyses for customers on a daily basis regarding performances of selected HSI and HSCEI constituents, major news, individual stock research, movers and market strategies. These help customers understand market trends and capture investment opportunities. Mason Securities's research team provides market review of previous month and outlook on upcoming month, enabling customers to gain deeper investment insights. Customers can receive detailed information of local listed companies at any time, such as company overview, basic information, stock prices and analytical charts. These can help customers to prepare their investment plan in advance! Mason Securities provides customers with the latest information, including Hong Kong stocks, red chips, HKCEI constituents, GEM stocks, warrants & CBBCs. With a clearer view over the stock market, customers can make informed investment decisions. Customers can obtain the latest information on local and global indices from Mason Securities. Apart from HSI, HSCCI, HSCEI, Mason Securities provides major indices from US, China, Germany, Canada, Japan and Australia for customers' references. Mason Securities strives to provide customers with competitive rates to achieve a win-win situation. Please contact our Customer Services or branches for any enquiries. Mason Futures strives to provide customers with competitive rates to achieve a win-win situation. Please contact our Customer Services or branches for any enquiries. Mason Financial strives to provide customers with competitive rates to achieve a win-win situation. Please contact our Customer Services or branches for any enquiries. Mason Financial always provide the highest quality professional services to customers. For enquiries, please contact our Customer Services at (852) 2218-2818 during office hour. For Dealing issue, please contact our Dealing and Sales Support Hotline at (852) 2218-2618. 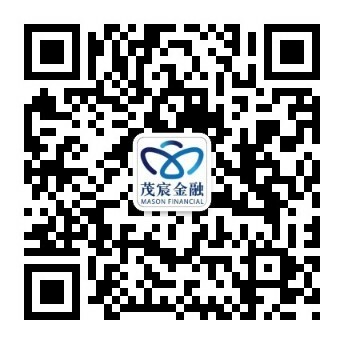 Mason Financial Group Limited (“Mason Financial”) is a large comprehensive financial group, which is a wholly owned subsidiary of Mason Group Holding Limited (HKEx Stock Code: 273). Mason Financial focus on financial investment industry. Through subsidiary companies of Mason Securities Limited and Mason Futures Limited, Mason Financial provides clients the most update services, including Securities, Futures/ Options, Margin Financing, Market Research. Welcome to Mason Financial forms download center. Customers can download and print related forms here. Customers can use the FAQ page to resolve trading related questions at any time. For enquiries, please contact our Customer Services at (852) 2218-2818. Mason Financial Group provides customer services to address enquiries and account issues. For enquiries, please contact our Customer Services at (852) 2218-2818. Customers can use the Technical Support page to resolve online trading related questions at anytime. For enquiries, please contact our Customer Services at (852) 2218-2818. Enjoy convenient, smooth and reliable stocks trading experience through new functions and services on our new trading platform! Mason Group Holdings Limited (“MGHL”), through its wholly-owned subsidiaries, provides a wide range of financial services to a substantial and diversified client base that includes corporations, financial institutions and individuals in Hong Kong. Such services include the provision of dealing in securities, futures, options trading services, margin financing, leverage & acquisition financing, corporate finance, wealth management, asset management, strategic & direct investment and market research services. Any reproduction or redistribution of information from this site is strictly prohibited. Copyright © 2019 Mason Securities Limited. All rights reserved. Mason Securities Limited is licensed by the Securities and Futures Commission to carry on Types 1, 4 and 9 regulated activities in Hong Kong. Mason Futures Limited is licensed by the Securities and Futures Commission to carry on Type 2 and 5 regulated activity in Hong Kong. Mason Securities Limited and Mason Futures Limited are all wholly-owned subsidiaries of Mason Group Holdings Limited (HKEx Stock Code: 273).